Last weekend was Lily’s 12th birthday. Isn’t she growing up fast? On Saturday, her actual birthday day, she wanted to spend the day with her friends. So she planned a small party to have with just a few of her friends. Our first stop was the roller rink. We skated for a couple of hours, and of course had a snack break. One of her friends left after roller skating because she had violin lessons. The second stop was to a restaurant. Lily wanted to go to the Outback Steakhouse, and so we indulged her. Fortunately, everyone ordered something reasonably priced on the menu! The third stop was our house, for dessert. Lily loves pie, so we had pumpkin pie, cherry pie and apple pie instead of birthday cake. On Sunday, we had her family birthday party, which was also very small. Lily decided she wanted us to order Lou Malnati’s pizza for dinner, along with their signature salad. I was fine with her choice; no cooking meant less work for me! We had plenty of pie left over from the day before, so we had more pie for dessert! A couple of weeks ago, Lily and Emmy were able to volunteer for a research project. This research, through Rush University Medical Center, is to help fight a rare neurological disease called Niemann-Pick Type C. Lily and Emmy were part of a control group of normal, healthy children. The researchers attached sensors to several places on the girls’ bodies to measure their gait and movements. By measuring how a typical child moves, they hope to see how an experimental drug for Nieman-Pick disease is working with children who have this rare disease. The researcher that worked with us told me that there is a lot of information about how a typical adult moves, but there is not as much information about the movements of children. Emmy has sensors around her feet, wrists, waist and shoulders. By measuring how much typical children sway as they walk, how fast they walk, how much they move when standing still and other information, will help researchers to know what is normal movement for children of different ages. This information will be compared to the movements of children with Niemann-Pick C disease. Specifically, we hope this research will help Hayley, a young girl who lives in our area. She was diagnosed with Niemann-Pick when she was 11. We don’t know Hayley personally, but we learned more about her condition in an article featuring her in the Chicago Tribune. Hayley has a rare genetic disorder called Niemann-Pick Disease Type C, often dubbed childhood Alzheimer’s because its symptoms are similar to those of adult dementia, though it’s not the same disease. Memory, speech and mobility fade. It gets harder to eat and drink unaided. There is no treatment approved by the Food and Drug Administration, and young children with the disorder typically don’t live past their teens. Chicago Tribune, February 8, 2016 Read more here. Lily standing still, with the sensors measuring how much she sways while she stands. During the weekend of research (which was hosted by our church), information was collected from 40 children! It was such an easy thing for these kids to give up some of their time to help others. Not only that, but I think the kids had fun participating in scientific research. It was a great experience, and I hope it will be beneficial to Hayley and other children with Niemann-Pick Type C.
When I was a kid, rollerblading didn’t even exist. There was roller skating, and ice skating. If it hadn’t been for birthday parties at the roller rink in Paxton, Illinois, maybe I never would have learned to roller skate. My first couples skate was holding hands with a boy named Quentin when we were literally 12 years old. Then we moved to the ‘burbs, and I went roller skating with my youth group. We skated to Michael Jackson’s “Thriller” and Axel F. from Beverly Hills Cop back in the 80’s. Then in the 1990s, the rollerblading craze hit, and I jumped right in. I bought my own pair of rollerblades. Skating on rollerblades was deceptively harder than roller skating, this balancing on a row of wheels, but I was soon rollerblading along the blacktop paths of DeKalb, Illinois. As long as there weren’t any hills, I was okay. As with most athletic activities, such as biking and skiing, rollerblading went by the wayside when I became pregnant for the first time. It wasn’t until Lily was in Kindergarten when the rollerblades came out of retirement. Every year, her school has a rollerskating party, and we love to go when we can. Sometimes I see some of my students skating with their older siblings, and they get a kick out of seeing their preschool teacher on skates! Since our weather seems to be very fickle this year, I think we’ll have to go skating again soon! Tonight as we were chowing down on burgers and shakes at the Choo Choo (our favorite birthday restaurant), Lily asked me to tell the story about the day that she was born. My due date was November 20th, although when I first had gotten pregnant, I calculated my due date to be Nov. 10th. When I woke up on Nov. 5 (I always say my due date was more accurate than the one my doctor gave me) I started to feel cramps. I called my mom, Ed at work, and my doctor’s office in that order. Since I already had a doctor’s appointment at 11:00, the nurse told me I could wait until then to come in. I had told Ed to come home from work so he could drive me to the doctor’s office. It was a beautiful fall morning, and Ed spent the time waiting to rake the leaves into the street for the leaf truck. I usually went to doctor’s appointments by myself, but this time, I didn’t go home after my appointment. The doctor told me I was going to have a baby that day! I’ve always thought of both of my daughters as little miracles from God. I wasn’t sure I’d be able to get pregnant and have children after undergoing chemotherapy and taking Tamoxifen at such a young age. Many young women are pushed into menopause or become infertile due to cancer treatments. Before Ed and I got married, we talked about the possibility of adoption if we weren’t able to have children. So it was unbelievable to me when it took only about three or four months for me to become pregnant with both Lily and Emmy. I was also quite fortunate to have healthy and happy pregnancies. Being pregnant was a wonderful experience for me, and the morning sickness I felt was nothing compared to the sickness of chemotherapy. My hair grew thicker instead of falling out and I was gaining weight due to a healthy baby growing inside of me. Ed and I felt truly blessed. As we watch both our girls growing before our eyes, and celebrated Lily’s 11th birthday today, we still feel extremely blessed to be the parents of our miracle babies. Because as you know, our girls will always be our babies even as we celebrate birthdays and watch our little girls grow up. I’ve been there for most of my first daughter’s firsts. First tooth, first steps, first day of preschool, first time riding a bike without training wheels. I listened to her read her first book, Olivia’s Opposites, I held her hand when the dentist pulled out her first loose teeth (they wouldn’t come out on their own! 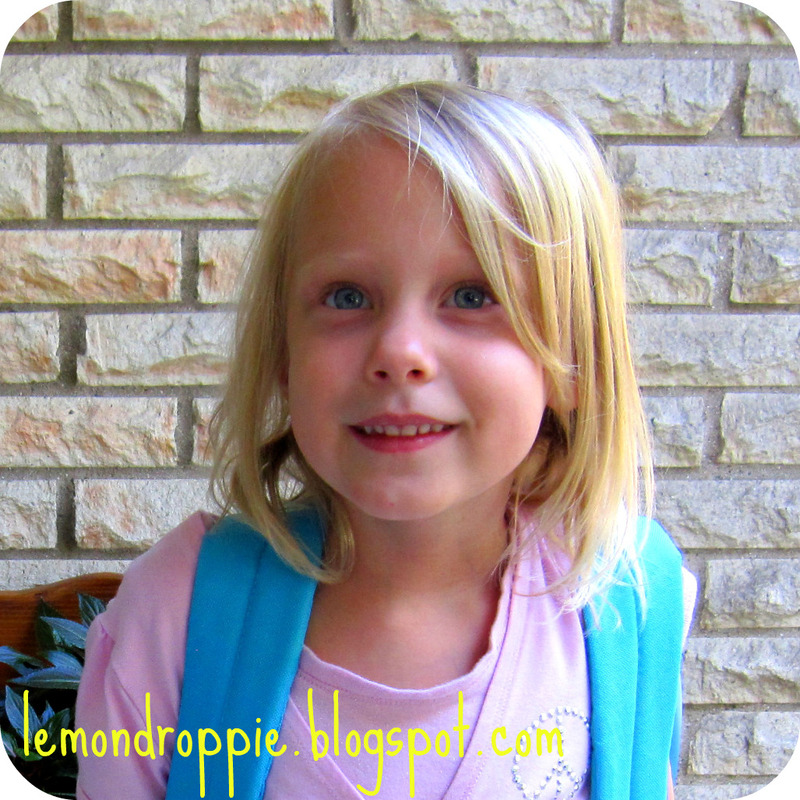 ), and I held her hand as we walked to her first day of Kindergarten. However, there are some firsts that I missed. When Lily slept in a big girl bed for the first time, I was in the hospital after giving birth to Emmy. My parents had brought my old twin bed and set it up for Lily, so that Emmy would have a crib to sleep in when we came home from the hospital. Lily’s first sleepover was away from home. Oh, how I missed having her in her twin bed in the room next to mine! And there have been other firsts that I have missed because she was in school and I was at work; first visits to plays and museums that she has done without me. As Lily grows older, there will be many more firsts for her that I will miss. It will be bittersweet for me; I was sad to miss her first night in a big girl bed, but was also happy that my parents had helped with that transition when I came home with a newborn. 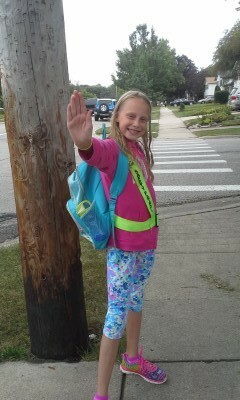 Some of her firsts make me nervous; such as the first time she crossed the street alone. She came home safe and sound after that first. Lily will not want me with her for some future firsts; she will definitely not want me there the first time she kisses a boy. 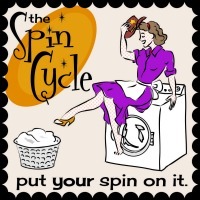 This week on the Spin Cycle, your writing prompt is Firsts. First day of school? First date? First driving lesson? First job? Write about a “First” in your life. Link it up here!